Is it really possible to make money from home as a Beachbody Coach? What does a Beachbody Coach even do? Do I have to be an expert on fitness or certified in some way? Do I have to be in great shape to be a Beachbody Coach? How does this Beachbody Coach thing work? These are probably questions you are asking yourself if you have heard of Beachbody’s home business opportunity and are thinking about joining. In this post I’m going to give a simple breakdown of how the business works, what Beachbody Coaches actually do, and how they make money. First, it is important to understand that as a Beachbody Coach, you are a business owner. The actual title is Independent Beachbody Coach, and I want to stress the word “Independent”. 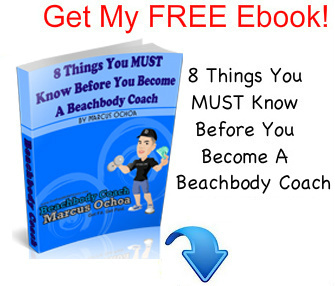 Your success as a Beachbody Coach will fall entirely on your own efforts. You will get credit for all of your successes, and there will be no one to blame for your failures. 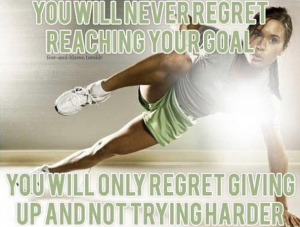 This is important to understand when signing up to be a Beachbody Coach. Often times people will sign up to be a Beachbody Coach and expect it to be “easy money”, which is not the case. When these people realize that there is actual work involved, and when money doesn’t start to magically fall from the sky, they go into “blame mode” and start to blame everyone and everything for their own failures. I’m letting you know this because I don’t want you to fall into this category. The business model that Beachbody uses is great because we are paid in direct correlation with our own efforts. As a Beachbody Coach, it is also important to realize that you won’t be actually “coaching” people when it comes to proper form and techniques, the videso do all of the “coaching”. This is why it is not required to be an expert on health and fitness in order to be a Beachbody Coach. However, it is very important to be a product of the product, and to be using Beachbody products yourself to be actively working on improving your own health and fitness. 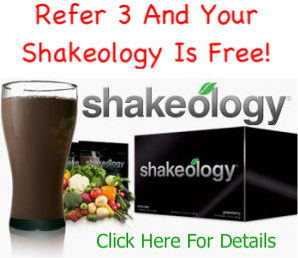 After all, how would you be able to recommend Shakeology, or even give your opinion on it if you are not drinking it yourself. As Beachbody Coaches we don’t sell products, but simply share and recommend products that we’re using ourselves. As a Beachbody Coach you are a business owner. Which means there are some “business” type things you will want to learn. It doesn’t matter how great a product or opportunity is if you don’t have anyone to share it with. This just means that spending time to learn some basic marketing skills will be greatly beneficial to your Beachbody business. In simplest terms, think Avon, Mary Kay, Lia Sophia, or any of the other popular home business that are out right now. These are all comparable to Beachbody’s home business opportunity because they use similar business models, although I hate to compare Beachbody’s opportunity to those that I mentioned because what Beachbody is doing is much different than what any other company has ever done. And by that I’m referring to the way they are using infomercials to create leads for the Coaches, brand awareness, and much more. Beachbody also creates Shakeology customers that they literally hand over to qualifying Coaches, Coaches who then receive the commissions on sales they didn’t create. These are just a few of the reasons I believe Beachbody is in a league of their own when it comes to the home based business industry, both in products, and the opportunity. In a nutshell, those are the 6 basic things that a Beachbody Coach does to grow their business, and it all starts from just talking to people. There are many different ways to promote your Beachbody business, but the end objective is about getting the word out.